What a wonderful blessing it was for me to spend my morning at LO's school for her class Mother's Day Tea Party. The tiny tables and chairs were decorated so special, and the kids served their mommies a dainty breakfast snack and tea. They even cleared our plates for us! So sweet! One of the things I loved most was a paper titled, "My Mom." 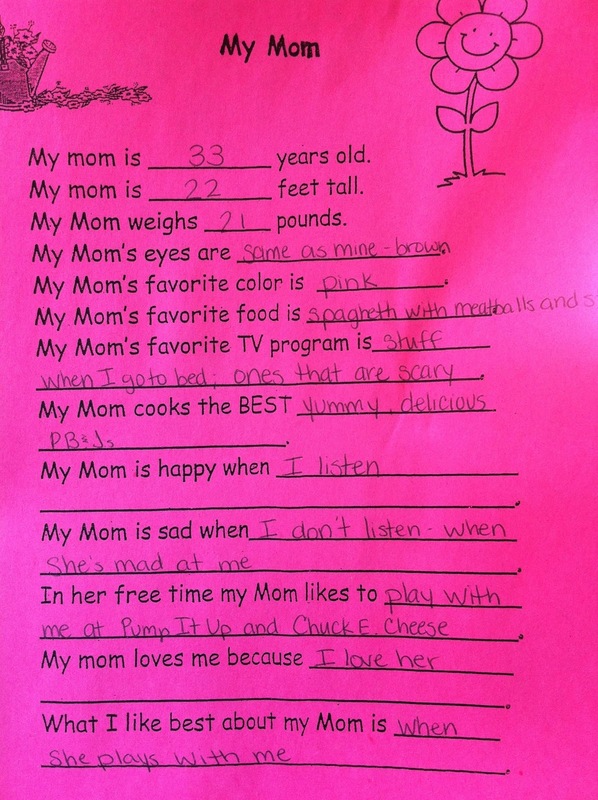 The kids all answered questions about their mommies and the teacher filled it in for them. Take a look at mine below... LO almost nailed my age, and was quite generous with both my height and weight! 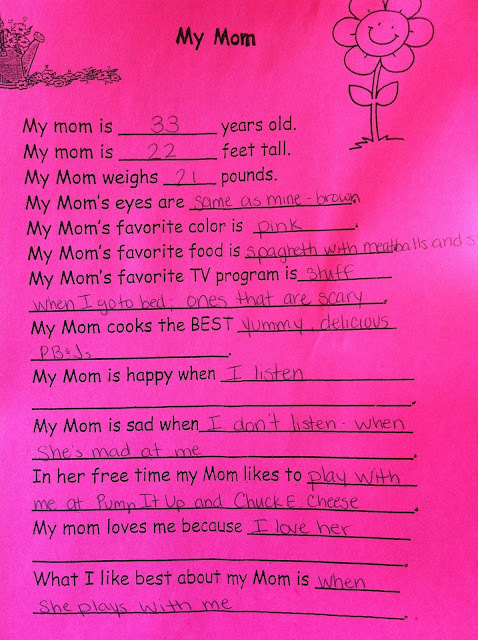 I love that "My Mom's favorite food is..." spaghetti with meatballs and stuff. Haha! Her answer to the TV program question cracked me up, and I love her explanation of my "free time." Looks like I need to have a little chat with her that I'm sad when she doesn't listen, but that doesn't mean I'm mad at her. Such a sweet treasure this is! 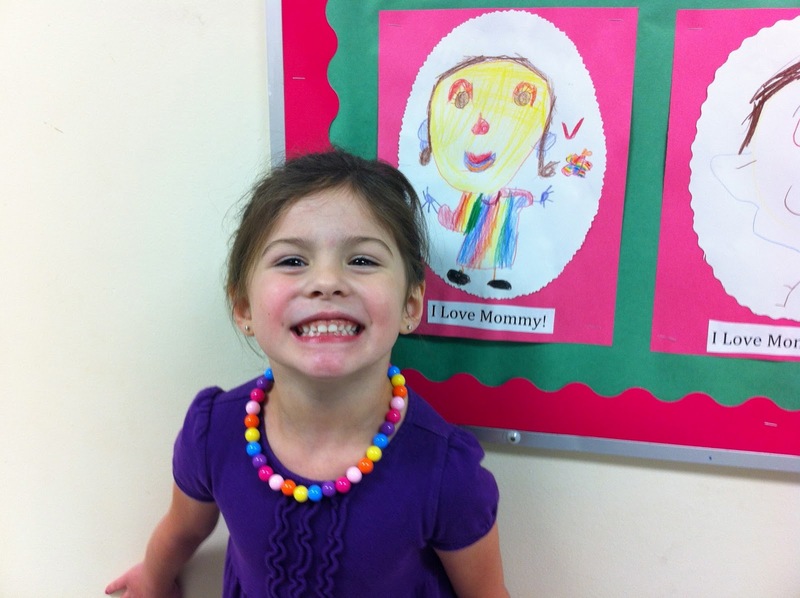 The kids all drew pictures of their moms, too. I got to guess which one was LO's, and I could tell right off the bat. She tends to draw big heads on her people. Haha! I'm really digging the coat of many colors she's got me in! 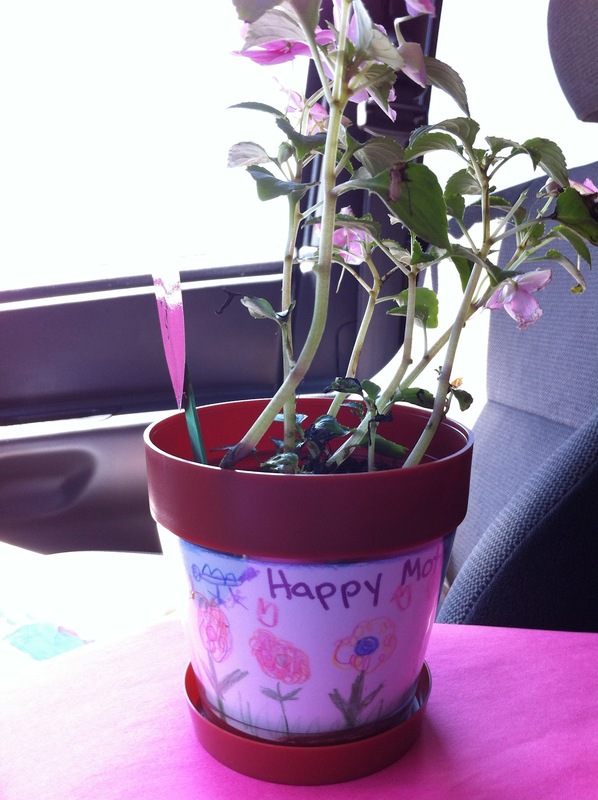 Another sweet keepsake was a little Mother's Day flower in the cutest little pot! She drew flowers, birds, butterflies and a sun. It's beautiful! at least your really really tall. probably the tallest person in the world and very very skinny lol.